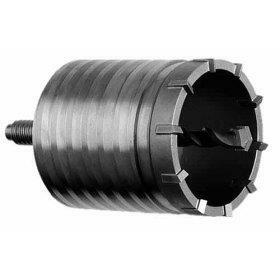 3" spline drive, carbide tipped core bit for large rotary hammers. 11" or 18" Adapter is available. * Please call us with any questions about our roto hammer core bit p 3 inch rentals in Oak Grove MO, Blue Springs MO, Independence MO, Lexington MO, Odessa MO, Independence MO and Western Missouri.